Makeup Artist to the stars Robert Moulton shares his skin care secret weapons to achieve a radiant and long-lasting red carpet look! Celebrity Makeup Artist Robert Moulton has worked with some of Hollywood’s leading ladies, creating stunning red carpet looks for Elizabeth Banks, Leighton Meester, Olivia Munn, Kristen Wiig and Jamie Lynn-Sigler (to name a few). For the Screen Actor’s Guild Awards (SAGs), which took place on Sunday January 27th, Moulton prepped, primed and glammed up actress Amy Poehler to create a healthy and fresh-faced glow for her walk down the red carpet. Here, he shares his top skin care tips for lasting makeup using products by Lancer Skincare. Q. Hollywood’s A-listers always ‘glow’ on the red carpet, but it can’t all be good genes. What skin regimen do you advise your clients do beforehand to get their skin in shape leading up to a major awards show? Do you give them any sort of “rescue kit/hero products” to use at home? A. I suggest products that help with de-puffing, smoothing and hydrating the eye area to create a ‘bright-eyed’ appearance. Before any red carpet event I always recommend Kerstin Florian Correcting Eye Rescue – the soothing eye pads visibly plump for a more luminous, well-rested and youthful look. Right before stepping onto the red carpet I also give my clients a concealer to keep in their bags for touch-ups, so makeup stays blended and malleable. Q. What is the basic (or most common) skin issue your clients face during red carpet season? And what products do you use to address this? A. My clients always want to maintain that ‘fresh’ feeling of just having their makeup done, and the best way to achieve this is to ensure their skin is properly hydrated. I lightly spritz Kerstin Florian Rehydrating Neroli Water all over the face before applying make up and throughout the evening to set the look and keep it red carpet bullet proof! Q. What additional skin care and/or prep products do you recommend to create a smooth canvas and ensure long-lasting makeup (prevent caking and layering in wrinkles/folds)? A. The eye area for me is the most important part of the face, and this includes not only prepping the under eye area but also the lids and brow bone. 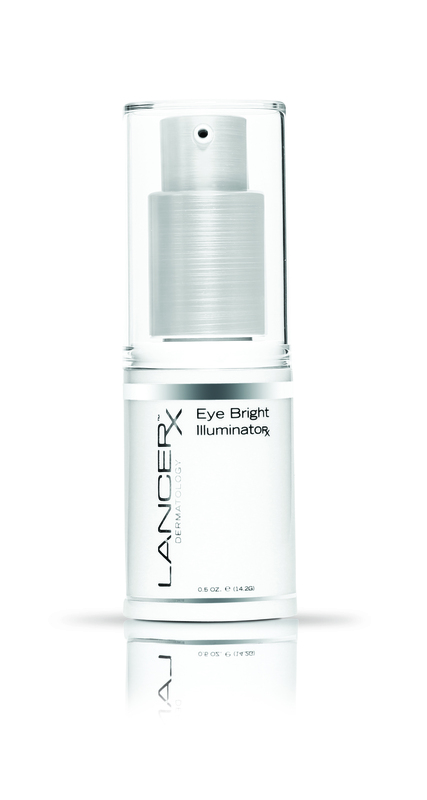 I love Lancer Skincare Eye Bright Illuminator, which not only hydrates, but also brightens. After using this, I notice how smooth eye color lays on the lids and prevents shadow color from creasing. Q. A big trend right now is the ‘dewy’, glowing look. What is the best way to achieve this without making skin appear oily/shiny? A. The best way to give skin that perfect glow is to mix your liquid foundation with a nourishing serum. I like to add a few drops of Kerstin Florian Hyaluronic Serum, which attracts water to the skin to maintain softness and suppleness. Q. 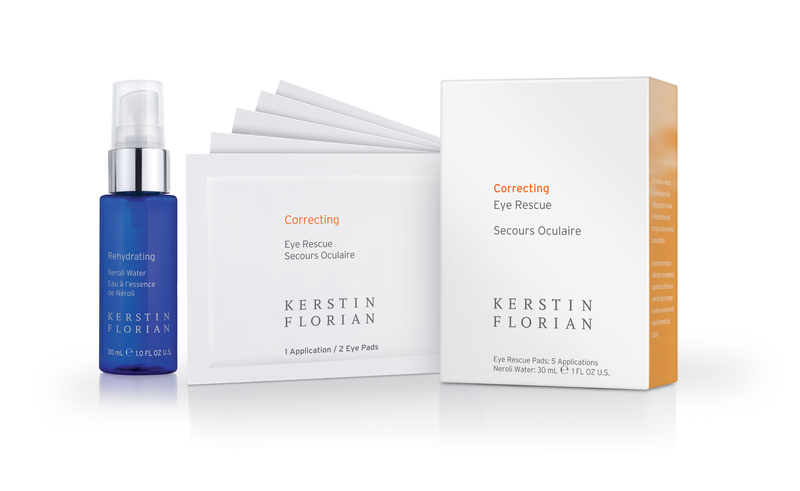 What are your favorite Lancer Skincare and Kerstin Florian products to use on your own skin, and why? A. As a celebrity makeup artist, I often travel back and forth from the east and west coasts and am always under various lighting both indoors and out, so it’s important to keep my skin moisturized. Lancer Skincare Eye Bright Illuminator keeps my eyes hydrated and awake, while Kerstin Florian Correcting Multi-Vitamin Day Crème with SPF 30 hydrates the rest of my face with vitamins and the added benefit of SPF. I like to think of these two products as my security blankets! Stay tuned for an up close and personal interview with Makeup Artist to the stars Robert Moulton. Learn more about the man who creates glowing faces on Hollywood’s beautiful faces! In the meantime, keep up to date with Robert by checking out his Website for all the latest scoop.